how to install evernote web clipper in safari. The "install web clipper from safari" in evernote website downloads a .safari extension. 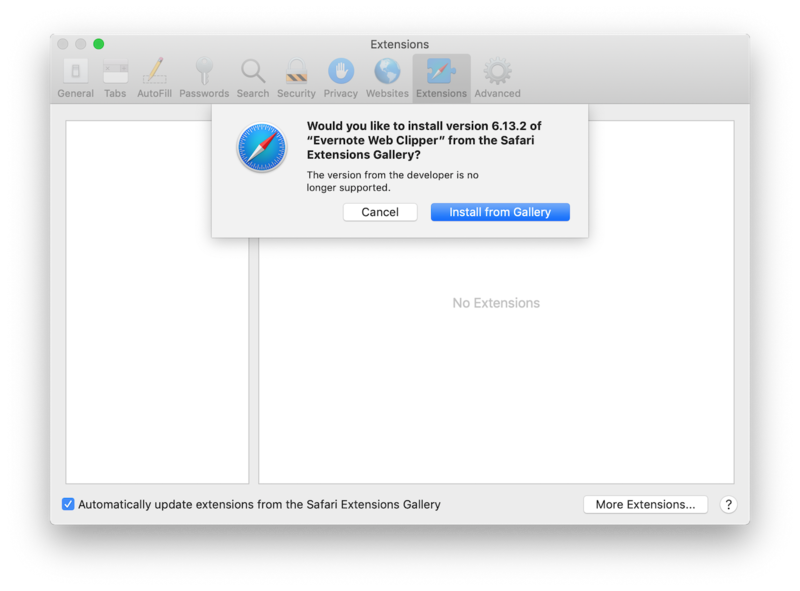 But its asking to install from extension gallery.